Candy Cook Books: Where have they Gone? I was in the bookstore the other day looking for cookbooks on candy making. I found approximately…zero. I’m not saying there aren’t any at all out there, I’m just saying it doesn’t seem to be a popular topic. And why would it be? There is amazing candy to be had, whatever your taste or budget. It’s not the kind of thing you do at home. You need special equipment, and a fearless approach to hot sticky liquids. Most of us are still struggling with the Betty Crocker Mix. But once upon a time, home candy making was a very big deal. In the olden days (before 1865 or so), a confectioner would set up shop in town and sell what she made. The invention of candy making machines in the second half of the nineteenth century meant that by 1890, most North Americans had access to a fantastic array of commercially produced candies. That meant when you headed out to buy some candy, you wouldn’t be likely to know who made it, or even where it might have been made. This anonymous commercial production of candy made some people quite nervous. What was in that candy? New technologies and processes were creating candies no one had ever seen before. Was it safe? Some candy makers were cutting corners, adding cheaper fillers or substituting fakes for more expensive ingredients like chocolate or nuts. Some of the new ingredients were chemicals, unknown and untested. There was an explosion of home candy cookbooks from the 1880s to the 1910s. These cookbooks often made explicit appeals to women to protect their children. Good mothers were told never to let their children touch “cheap” candies. They might be “adulterated” with fillers, poisons, who knows what. Instead of buying cheap candy for their children, good mothers should make their children’s candy at home. The per capita sale of candy increased dramatically from 1900 to 1915. By then, home candy making was falling out of favor. Worries about adulteration seemed less important. Pure Food laws had helped regulate additives and ingredients, and advertising and brand names increased consumer confidence in the goods they bought at the store. It could never have been the case that home candy significantly displaced manufactured candy. Only a small number of families would have the leisure time necessary for candy making. 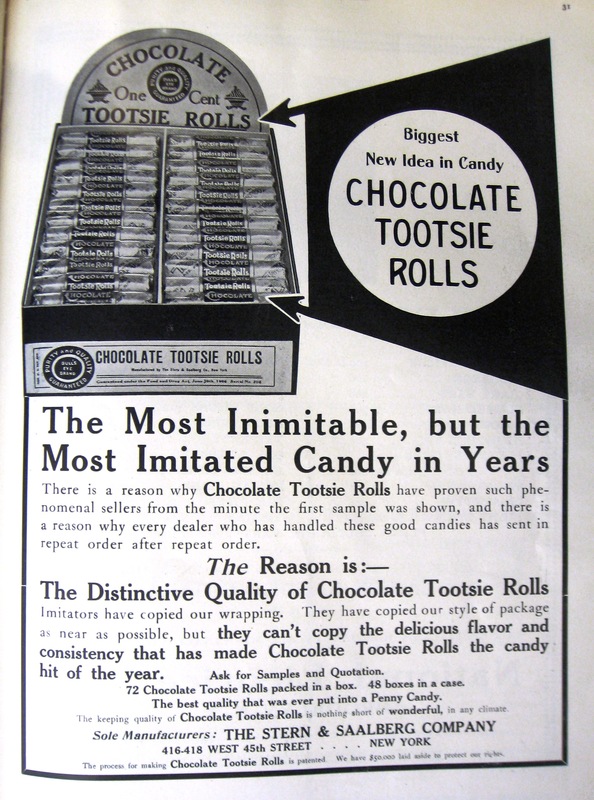 It is likely as well that after some 25 years of experimentation, home candy cooks realized that candy making was difficult and exacting work, and the variety and quality of candy readily available at attractive prices made home candy less appealing. The days of home candy making seem long past. I have friends who enjoy baking, friends who garden, friends who sew handbags. I don’t know anyone who makes candy at home. But these days, we think a lot about how to simplify, how to get back to basics, how to “do it yourself.” Perhaps lollipops and taffy from our own kitchens will be next! If you hope to create a smooth, creamy, or chewy candy, there is a particular kind of sugar you must add to your mix: glucose. In candy making, glucose creates long carbohydrate molecules that get all tangled up and prevents the other sugars from crystallizing. This is the molecular action that makes hard candies glassy rather than crystalline, and keeps grittiness out of butterscotch, caramels, and taffies. In the early 1900s Americans were becoming more aware of the techniques of food manufacture in the new food industries. One worry was “adulteration”: were the factories adding cheap or harmful substances to the food they sold? 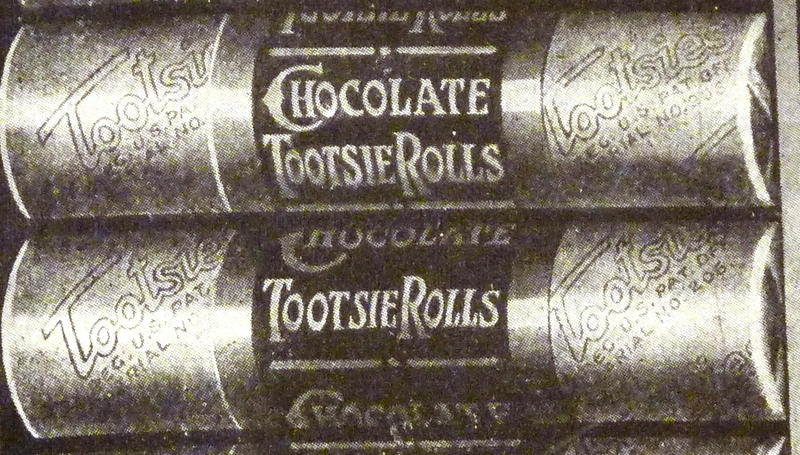 Commercial candy makers were under special scrutiny. They made chemically complicated concoctions, with strange and unfamiliar colors and flavors and qualities, and they sold them to children. Were the dyes and flavorings and ingredients really safe? The word ’Glucose’ is derived from that of ’Glukos, ’which was the name given to starch which had been converted into syrup, for the reason that it was sweet. The English spelling of the word was ’Glucose,’ which very easily became misspelled ’Gluecose,’ hence the conclusion by uninformed people that it was a product of ’glue,’ and as glue is made from a variety of objects such as animal hoofs, old bones, fish, etc., ’Glucose’ naturally enough became blacklisted by many. … It was found that even physicians and school teachers were actually teaching and preaching about the dangers and impurities of ’Glucose’. Source: “Corn Syrup Education,” International Confectioner June 1914; Harold McGee, On Food and Cooking: The Science and Lore of the Kitchen (1984).